I spent part of Friday afternoon celebrating with Peru Intermediate School 3rd, 4th, and 5th graders to mark the end of their big reading incentive month. While reading is always important, Peru decided to give it some extra attention in May by asking kids to set personal reading goals. (I set one, too, and finished my 8th book just last night!) 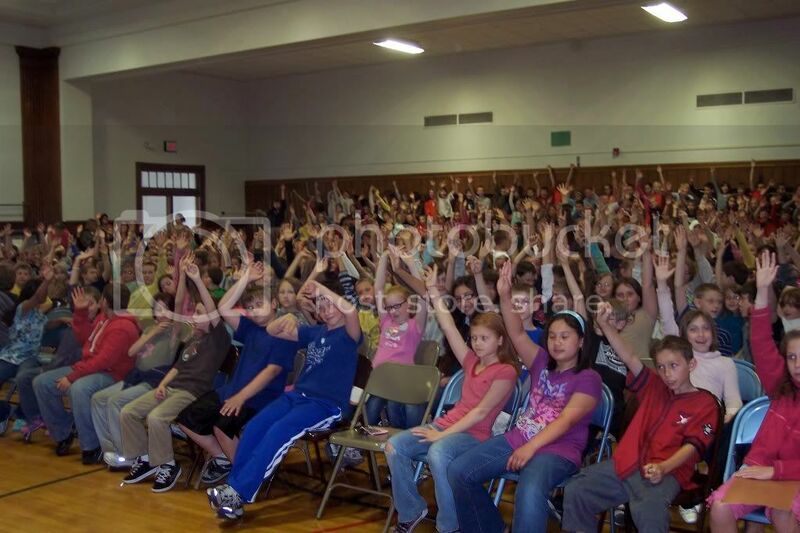 And I wasn’t alone in meeting my goal – check out all these successful readers! I loved the way the school celebrated. Since their theme for the month was Lake Champlain, they created a lake in the front hallway and gave each class a ship. 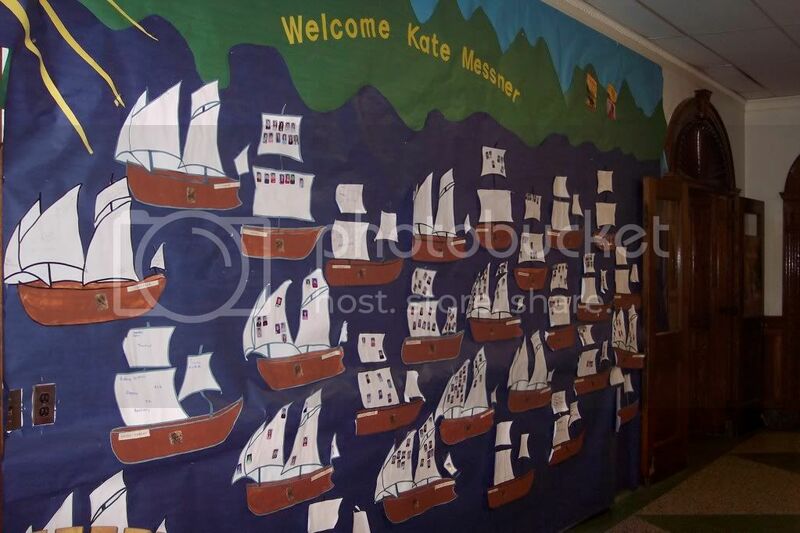 When students met their goals, they put their photographs on the ships and signed them. The school also gave away 30 copies of SPITFIRE and CHAMPLAIN AND THE SILENT ONE in a drawing for students who met their goals. By the end of the afternoon, my voice was hoarse from cheering, my hand was tired from signing, and my head was full of great book suggestions from these awesome readers. Congratulations, Peru kids!! I hope you find just as many fantastic books to read over the summer. If you need some new suggestions, here’s the latest ALA Notable Books list with plenty of great choices. Happy Reading! This entry was posted in Uncategorized and tagged author visits, peru intermediate school. Bookmark the permalink. Both comments and trackbacks are currently closed.